If you are a professional filmmaker or photographer, having the ability to composite or apply green screen effects to your photos and videos give you an edge in terms of offering more service to your customers. To have this ability, you need good green screen equipment. The most important piece of equipment for this task, of course, is green screen fabric. You have a lot of options out there in terms of the kind of fabric and how you can obtain them. 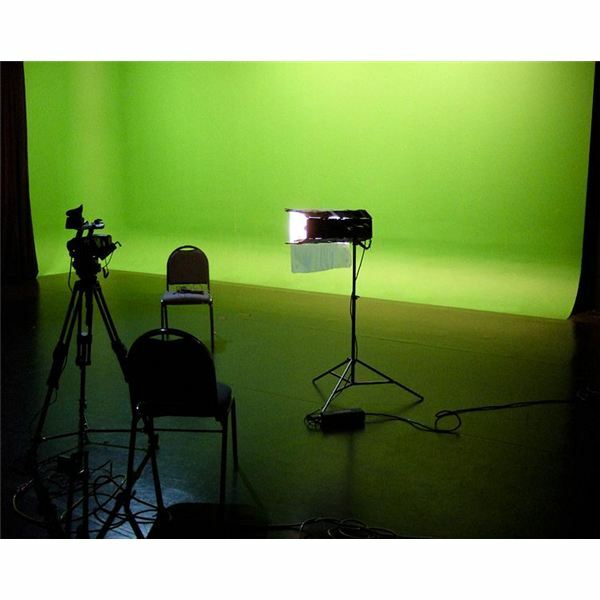 First, if you are a professional or if you are an amateur with enough resources, you can purchase ready made green screen equipment that include specially designed green screens. The film industry uses high quality green screen backdrops like that of EEFX.com. The fabric they use for green screen backdrops are designed to scatter light rays that make the backdrop easy to light. This minimizes the hassle of finding the right intensity of light and the correct position of lighting equipment to provide lighting to the backdrop. It has a foam core that prevents wrinkling and it has a nylon backing that gives strength to the backdrop. It is designed to for heavy duty use and to minimize maintenance time and cost. If you are a professional, this is your best choice for a green screen backdrop. If you need a custom size backdrop, you can easily order a customized green screen backdrop that fits your needs. If you don't have the resources to buy a ready made green screen backdrop, you can create one yourself using homemade support systems and fabrics you can buy in fabric stores. The most common type of fabric you can get from common fabric stores is cotton. It is easy to clean but you have to take into consideration that it easily wrinkles and is not that easy to paint on. However, there are other kinds of fabrics you can use for your homemade green screen backdrop. Muslin is easy to paint on so you can use just about any kind of paint to give it the color you desire whether it is blue or green or something else. It is also a very sturdy type of fabric so you can be assured that you can use it on a regular basis. You may have to watch out if you are going to use it without painting it first because it easily wrinkles on its own. If you want a fabric that does not wrinkle easily, polyester is your best choice. It comes in different levels of thickness so you have a wide array of polyester types to choose from. It is a little too reflective compared to other types of fabrics, so you have to take that into consideration when lighting your backdrop. These green screen fabric options are your best options whether you are creating your own backdrop or if you are purchasing a professional grade one. You just have to remember that each kind of fabric has its own advantages and disadvantages, so keep those in mind because you need to determine the best one that is compatible to how you shoot your videos or photos.